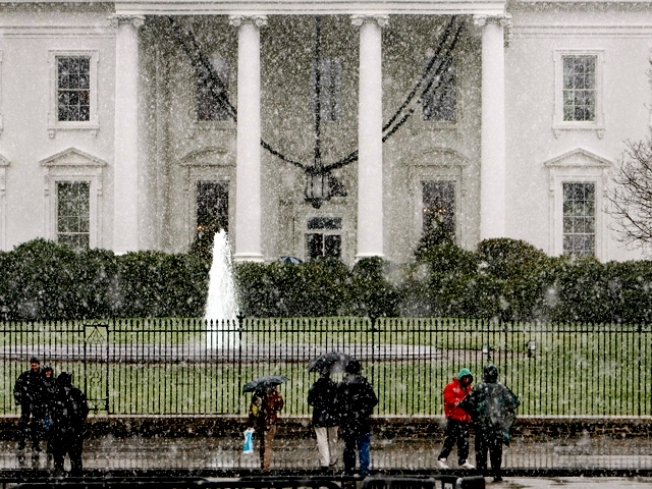 Snow is seen falling at the White House in Washington, Saturday, Dec. 5, 2009. For the third time in five years, D.C.'s first snow fell on Dec. 5. Snow fell in the West Virginia panhandle and the Shenandoah Valley throughout the morning. In parts of D.C., rain turned to snow at about 10 a.m. The snow emergency plan was placed in effect at noon in Frederick County, according to Maryland State Police. It's the first snowfall of the season for the D.C. area. Temperatures were in the low 40s Saturday morning but dropped over the course of the day. The D.C. area should get 2 to 4 inches, with more accumulation further west. Because of relatively warm ground, not much accumulation was expected on paved surfaces, but there have been reports of slush on some roads. D.C.'s snow team began treating streets, bridges and overpasses Saturday morning and planned to continue through the night due to falling temperatures. The team of Public Works and Department of Transportation snow ploys and salt spreaders is at full deployment. 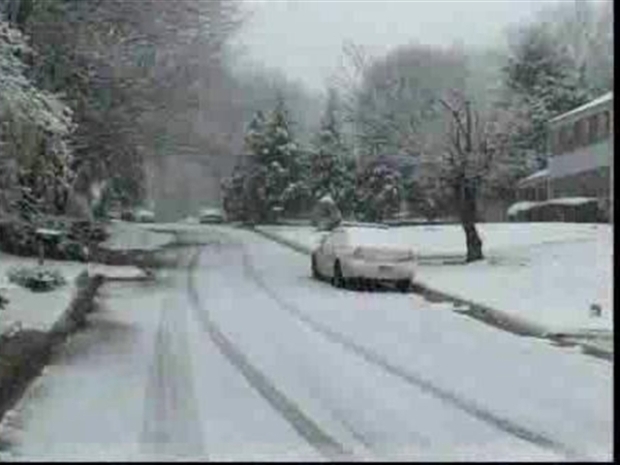 Suburbs reported between 1 and 4 inches of snow Saturday afternoon. Dulles International Airport reported delays of 30 to 40 minutes Saturday morning. Some flights had been cancelled out of Dulles according to the airport's website. It snowed for the first time in Virginia Saturday. People sledded, drove around and shopped, enjoying the snow. 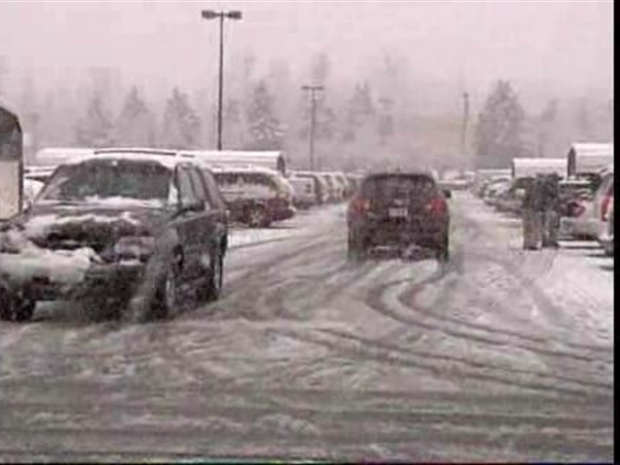 Drivers should use extra caution as the snow, rain and/or wintry mix could cause slippery roads and limited visibility. Some counties in the southern Shenandoah Valley area are under winter storm warnings. After the storm, the sun will come out tomorrow, NBC4 meteorologist Chuck Bell said. Marylanders react to the season's first snowfall. Click here for the latest weather forecast, alerts and maps.